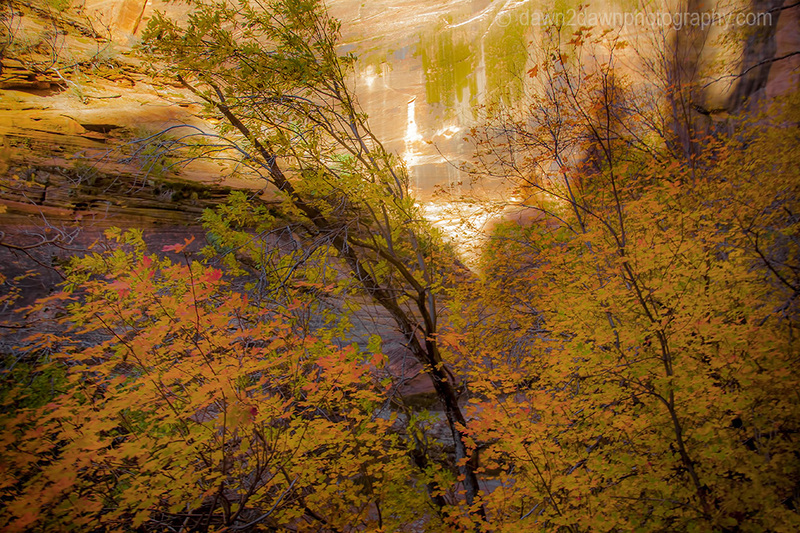 Fall colors usually develop first in Zion at Echo Canyon. 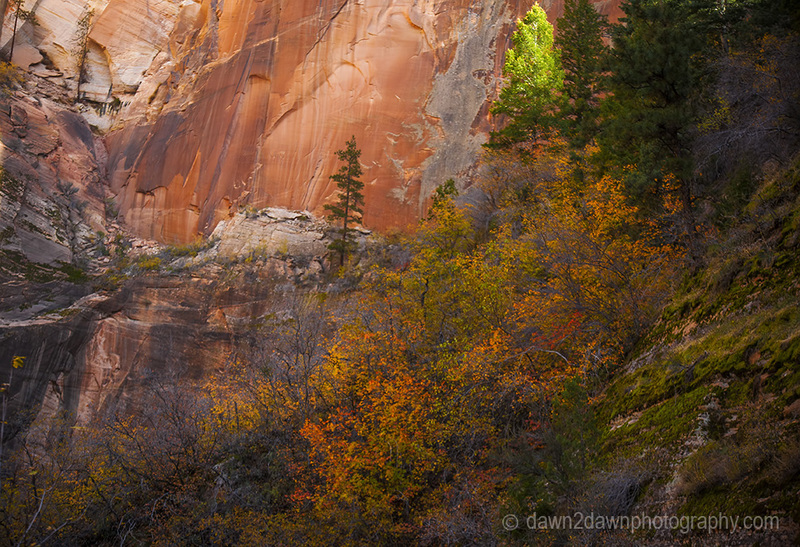 It’s about 1,000 feet higher in elevation than Zion’s main canyon. 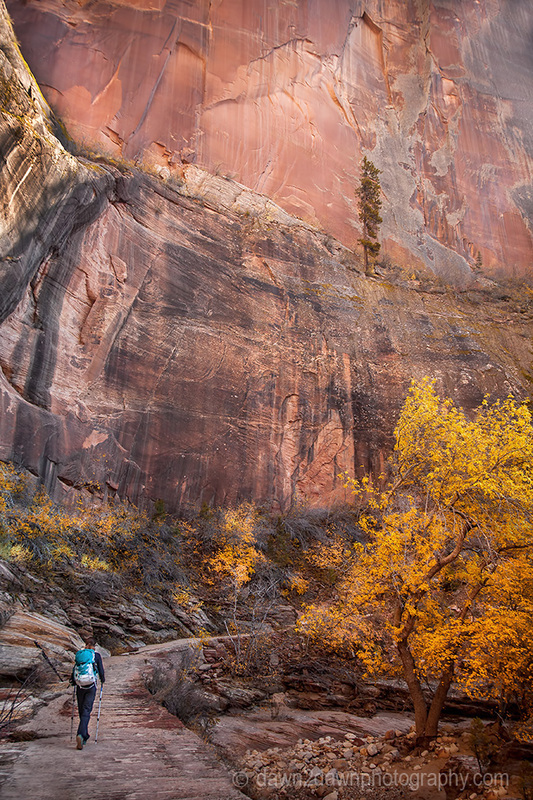 Echo Canyon’s sandstone walls soar another 2,000 feet into the distant sky, thereby making it a marvelous trek in autumn. 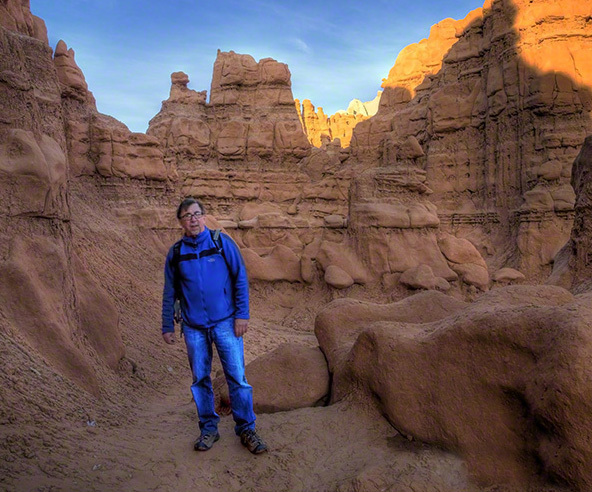 These sandstone walls rise some 2,000 feet straight up! 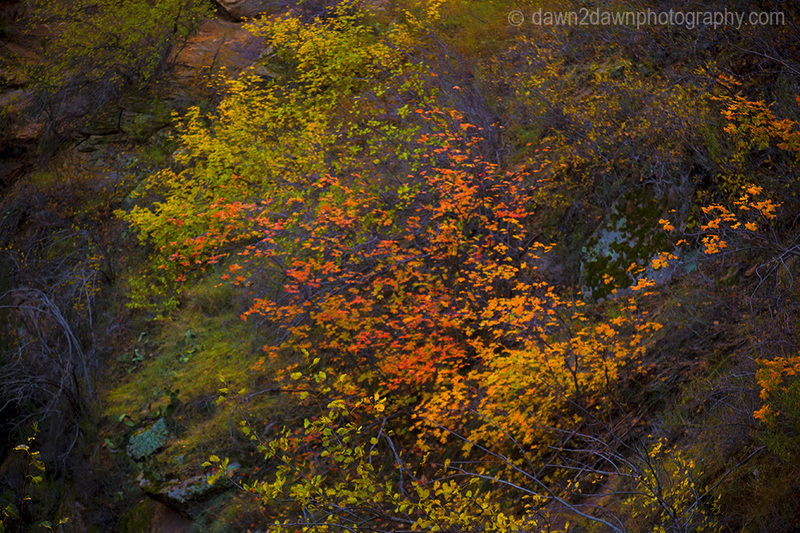 You are surrounded by color as you walk through Echo Canyon. 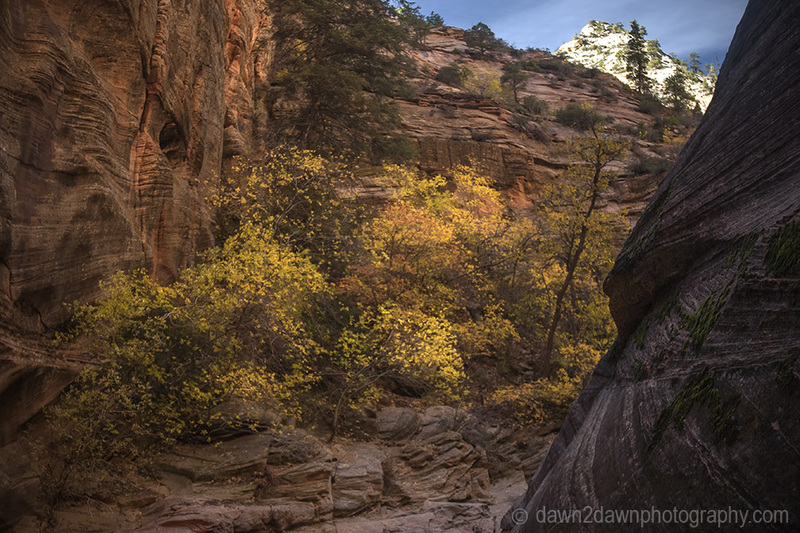 The exit out of Echo Canyon leads you to more wonders. This is so incredibly beautiful, Michael! I’d be squealing with delight if I saw this in person. 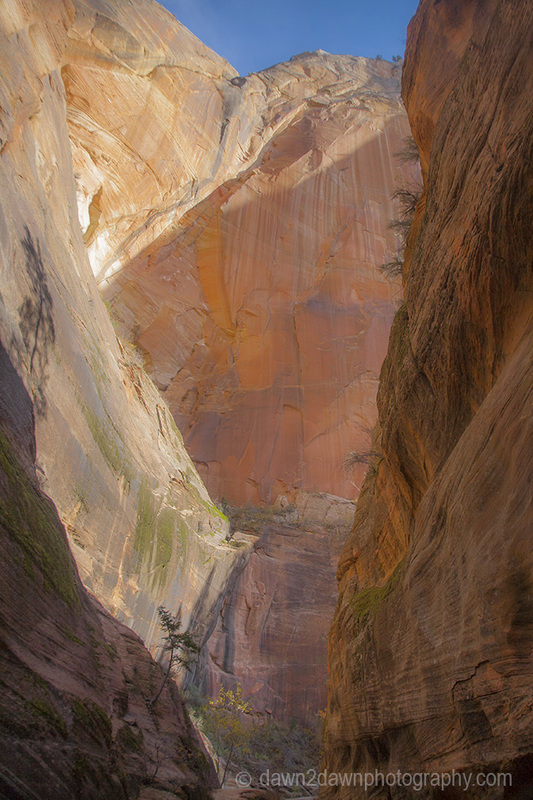 Those canyon walls sure are impressive! 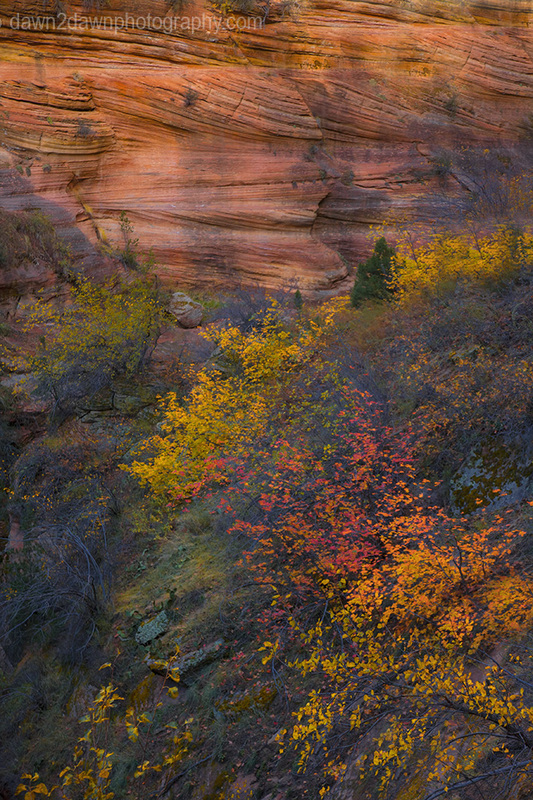 You timed your visit perfectly at peak color. 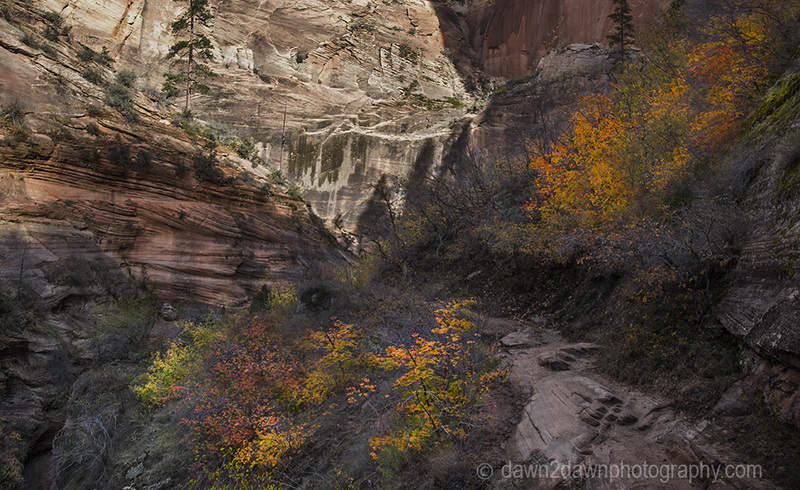 I love Zion, it’s a great NP. 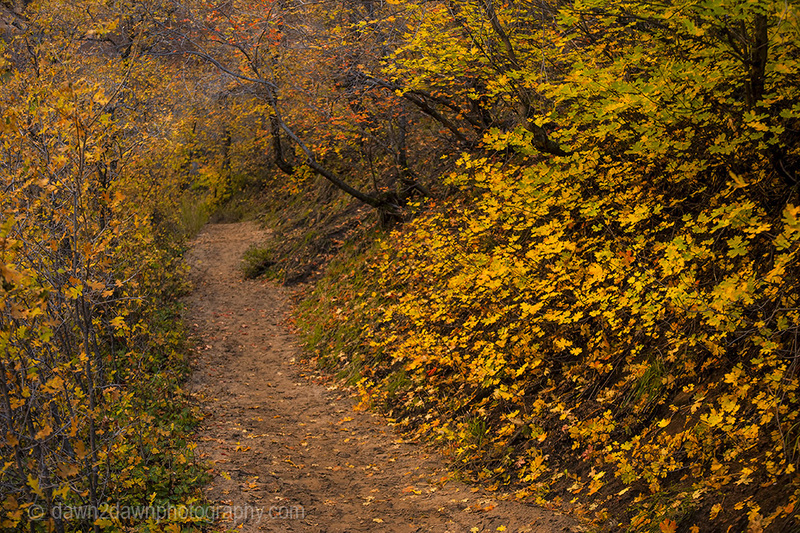 I was there in summer, but now I see its beauty with autumn colours, amazing! Absolutely gorgeous… you’ve convinced me to visit next Fall. 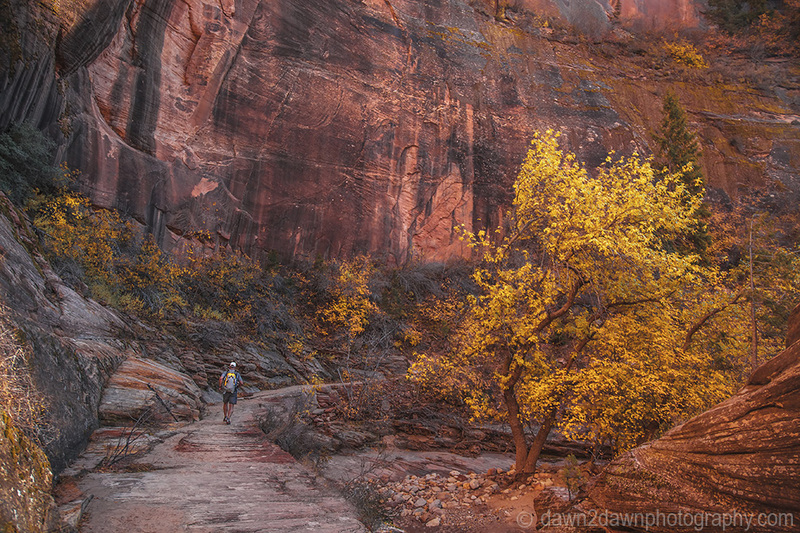 My favorite is the 9th (a horizontal shot) with the lone hiker and awesome tree! Thanks Denise. 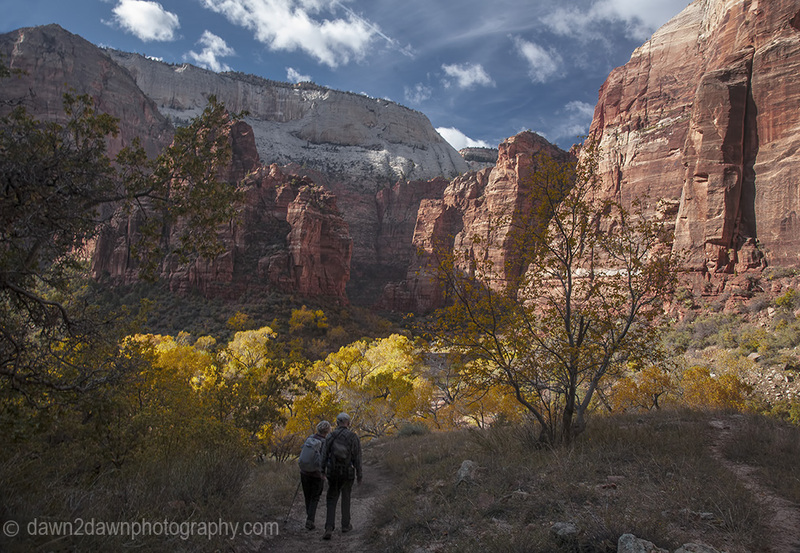 Looks like the second week in November is the best week for fall colors at Zion although there is still plenty of color in the park now!